Can-Am has reset the bar with the new maverick X3, with performance, suspension and cockpit at the head of its class, why stop there? Audioformz created a stereo top that looks and performs as good as the machine itself, using exclusive build techniques, Audioformz delivers with all the performance, sound and strength you would expect from the leader in SxS stereo tops that cant be matched by the competition. Molded from hand laid fiberglass for a perfect fit with aggressive lines yet still provide headroom for any style of riding from mud to sand, we have you covered with our 2 speaker or 4 speaker stereo top models. 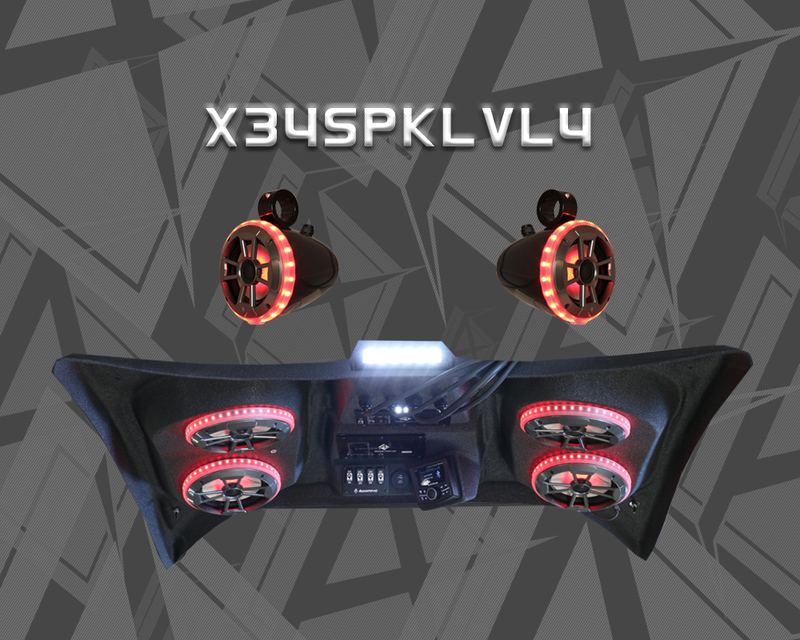 Cockpit styling and RGB LEDS are built into every speaker plus add our patented RGB LED speaker rings to stand out even further! 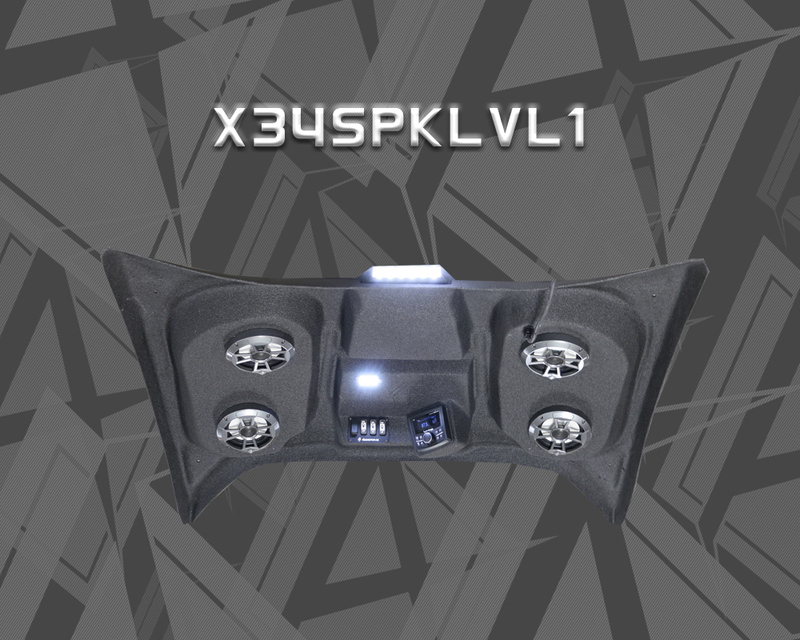 Audioformz proprietary flush mount FM series powersport amplifiers include a built in LED volt gauge to display system voltage and provides clean, efficient power to be heard even further! 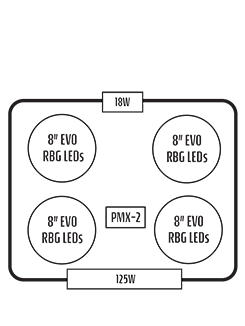 And if being heard isn't enough, we offer high powered combo single front LED light bar options along with a rear cargo LED light bar as well. Audioformz offers more options than any other manufacturer to meet your demands and style. We have been building high performance, molded fiberglass stereo tops longer than anyone else...why would you choose anything other than the best! And if that isn't enough, our top installs in 30 minutes or less with the supplied mounting hardware and a simple two wire hookup! 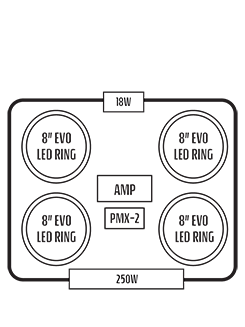 This is your stereo top...build it like you want it and remember nothing performs like AudioFormz! 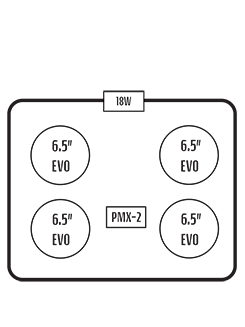 2-speaker roofs allow additional headroom for the extra tall driver or when wearing helmets. Optional smooth, high-gloss color gelcoat finishes. 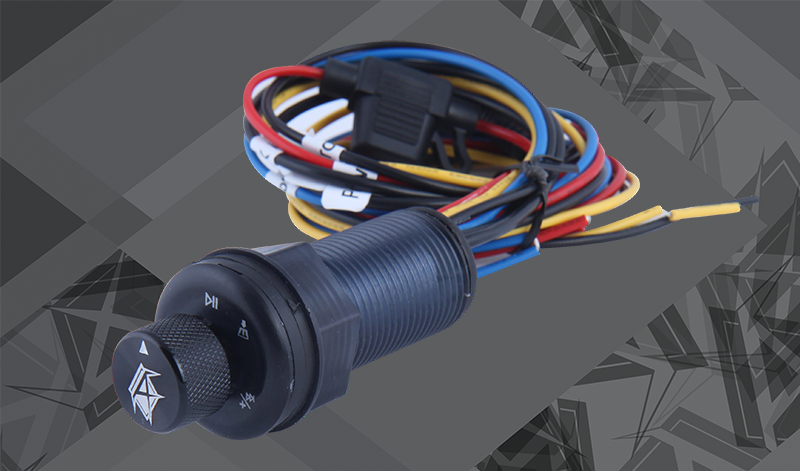 Add our optional patented RGB light rings for more custom lighting! 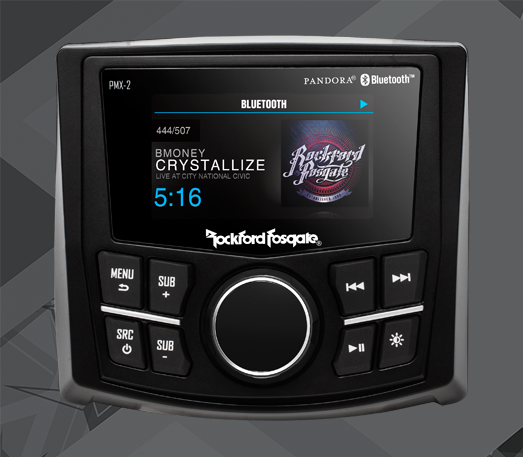 Wireless stream music from phone with the class leading Rockford Fosgate PMX-2/3 radio or AudioFormz bluetooth players! Separate rocker switches installed for radio, dome, front, and rear lighting. 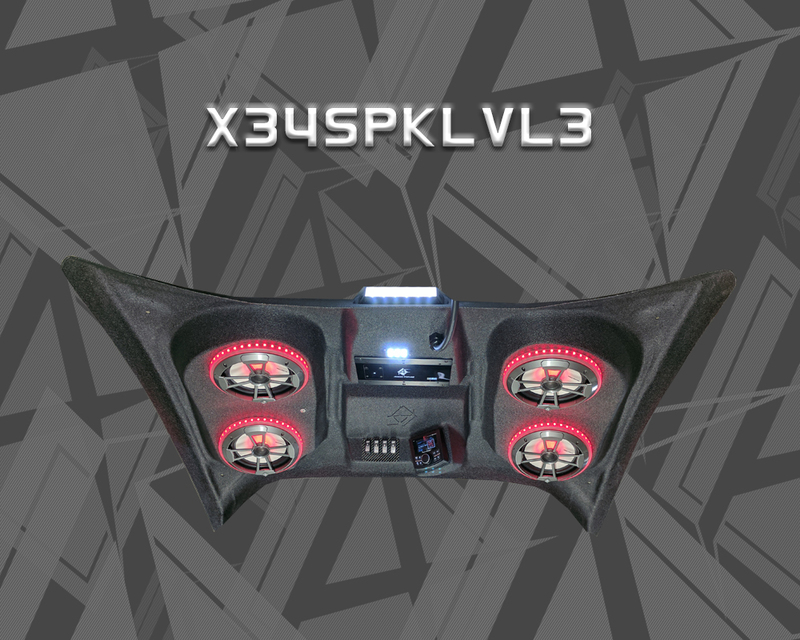 LEVEL 1 - X3-2SPKR Top, Rockford PMX-2 BT Radio, 2-Audioformz Evo 6.5" speakers, Rear 18W light. LEVEL 2 - X3-2SPKR Top, Rockford PMX-2 BT radio, 2-Audioformz Evo 8" RGB speakers, RGB remote, Front 42.5" combo light bar (200W), Rear 18W light. LEVEL 3 - X3-2SPKR Top, Rockford PMX-2 BT radio, Aux-in, 2-Audioformz Evo 8" RGB speakers with RGB light rings, RGB remote, Audioformz 600W flush mount amplifier with battery volt meter, Front 42.5" combo light bar (200W), Rear 18W light. LEVEL 4 - X3-2SPKR Top, Rockford PMX-3 BT radio, Aux-in, 2-Audioformz Evo 8" RGB speakers with RGB light rings, 2-Audioformz Evo 6.5" tower speakers with RGB rings, RGB remote, Audioformz 600W flush mount amplifier with battery volt meter, Front 42.5" combo light bar (200W), 1-Rear 18W light. 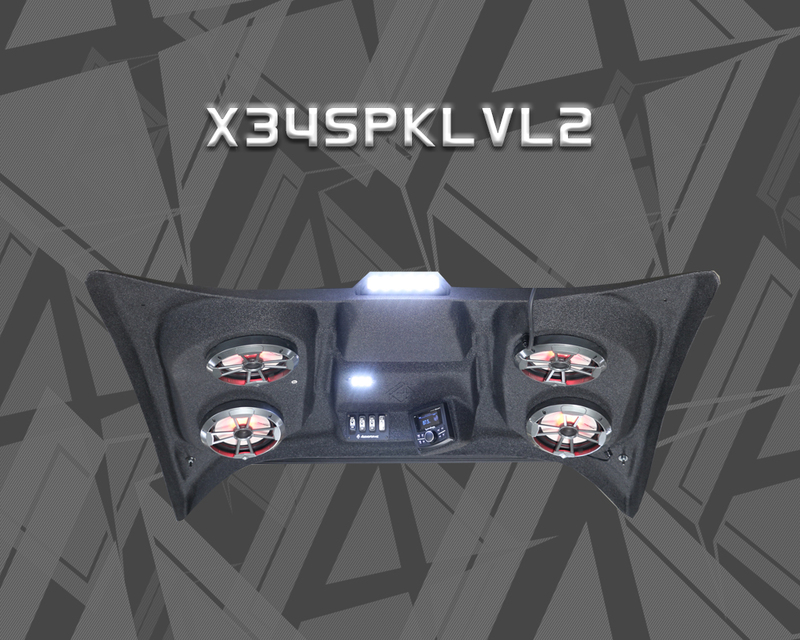 LEVEL 1 - X3-4SPKR Top, Rockford PMX-2 BT Radio, 4-Audioformz Evo 6.5" speakers, 1-Rear 18W light. LEVEL 2 - X3-4SPKR Top, Rockford PMX-2 BT radio, 4-Audioformz Evo 8" RGB speakers, RGB remote, Front 42.5" combo light bar (200W), Rear 18W light. LEVEL 3 - X3-4SPKR Top, Rockford PMX-2 BT radio, Aux-in, 4-Audioformz Evo 8" RGB speakers with RGB light rings, RGB remote, Audioformz 600W flush mount amplifier with battery volt meter, Front 42.5" Front combo light bar (200W), Rear 18W light. LEVEL 4 - X3-4SPKR Top, Rockford PMX-3 BT radio, Aux-in, 4-Audioformz Evo 8" RGB speakers with RGB light rings, 2-Audioformz Evo 6.5" tower speakers with RGB rings, RGB remote, Audioformz 600W flush mount amplifier with battery volt meter, Front 42.5" combo light bar (200W), Rear 18W light. ***Under seat 10" subwoofer enclosures available with our roof systems! Drastically increases bass output. ***Odyssey battery upgrades recommended for any extended play times with vehicle not running. 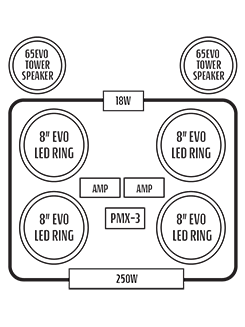 Our class leading 8" EVO Pro speakers offer NEO magnets and Kevlar cones that provide an additional 3-4 db output! Optional AUDIOFORMZ slim line high powered 200W 6000K white CREE LED light bar(s) in all aluminum housings with stainless adjustment bracket. Spot 10* and flood 60* combination for the ultimate night riding experience. Audio Formz, Inc. is not affiliated with or in any way associated with Can Am, Bombardier Recreational Productions, Inc. or any other person, entity, product or organization. Reference in this web site to any specific commercial product, process, or service, or the use of any trade, firm or corporation name is for the information and convenience of the public, and does not constitute endorsement or recommendation by Audio Formz, Inc.